What's The Secret To Joyful, Compassionate, Productive Classrooms? Vishal Sharma is an engineer, educationist, and social-changemaker from Ahmedabad, India. 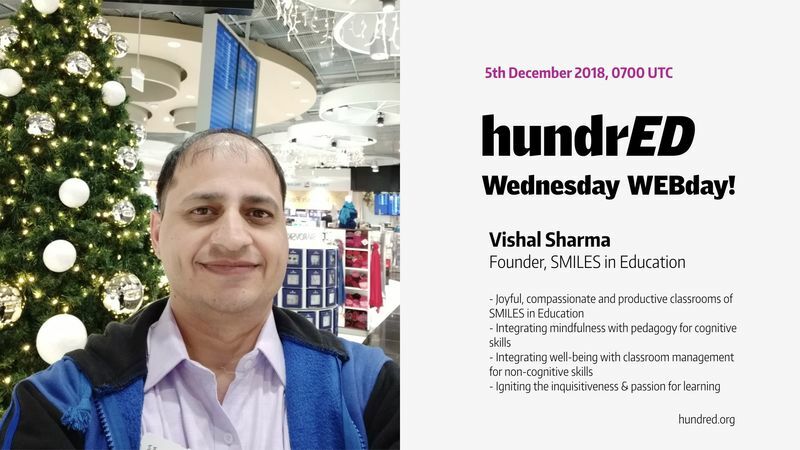 He is also the Founder of SMILES in Education, recognized by HundrED as one of the most inspiring innovations 2019. This video was originally filmed live on the HundrED Facebook page, December 5th, 2018. Vishal is an electrical engineer by profession but an educationist by passion. After finishing his Masters in Microelectronics, he worked in the IT industry for over a decade with MNCs like Intel Corp. in the USA. Being a mindfulness practitioner, he improved his focus and productivity and won coveted “Intel Achievement Award” (IAA) in 2005. But listening to his inner calling, he left his lucrative IT job and returned to home country India to give back to the society. He started his research for improving the plight of the Indian education system and reduce the stress on the average teachers and students. He visited and conducted several academic and operational audits for schools across India from low-income rural schools to high-end urban schools. During this period he also conducted various teacher training workshops, parents’ awareness, and inclusion programs, teenager/student wellbeing and counseling sessions for IQ and EQ improvements. The schools he conducted workshops for teachers and management included Delhi Public School, Podar International, Riverside (Ahmedabad) amongst a host of other schools. The idea behind SMILES is to integrate wellness into pedagogy, create a harmonious, inclusive learning ecosystem that ignites a passion for learning by increasing the intrinsic motivation of the teachers as well the students. Vishal designed and developed his first model of Stress-free teaching called Stress-Free Awakened Learning (SFAL) Model in Sep 2014 for which he was awarded innovation ideas fellowship at the 7th Ed Leadership International Round Table in Lucknow, India. In Oct 2015, Vishal developed B.Y.T.E.s or Breathing and Yogic Techniques; Exercises for anger, fear, depression management for teenagers/students. The program was also awarded a fellowship for innovative ideas at the 8th Ed Leadership International Round Table in Lucknow, India. It won the “Nachiketa Award” at the Principals Conference in Dec 2015 by Chief Minister of Maharashtra, India. 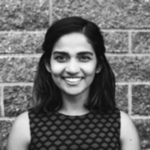 In 2016, Vishal joined a two-year fellowship with Teach for India (TFI) which is a big change-maker NGO in the Indian educational space. At TFI, he got extensive exposure to latest pedagogical skills and mindsets required for teachers and students to provide an excellent education for every child. He also experienced the kinds of stress and challenges an average teacher faces from management, fellow teachers, students and parents in an underprivileged community. During his TFI fellowship, combining his earlier experiences in mindfulness and well-being, he developed and validated several techniques using mindfulness to improve cognitive learning outcomes, enhance noncognitive skills and increase the intrinsic motivation of both teachers and students. This led to the creation of the “SMILES in Education” program that uses mindfulness-based easy, short structures for holistic learning in a stress-free motivating learning ecosystem. The idea behind SMILES is to integrate wellness into pedagogy, create a harmonious, inclusive learning ecosystem that ignites a passion for learning by increasing the intrinsic motivation of the teachers as well the students. Currently, he is working to expand SMILES program to other locations and other professions.